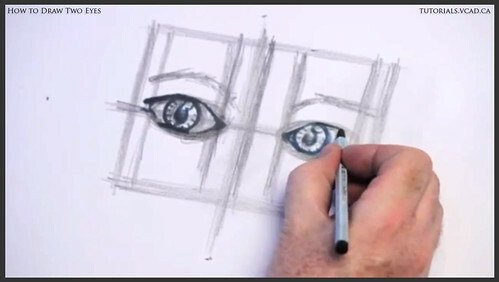 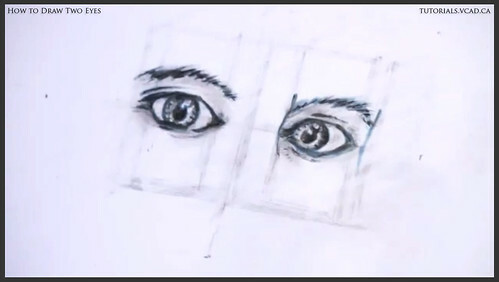 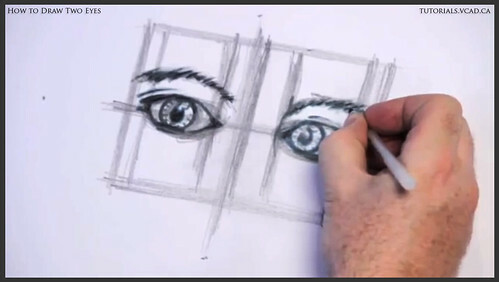 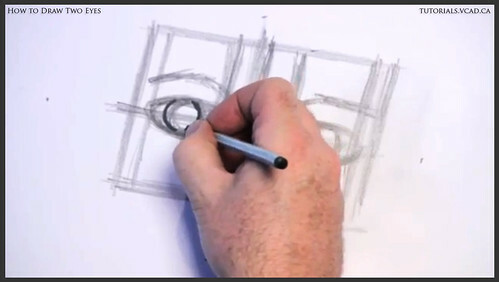 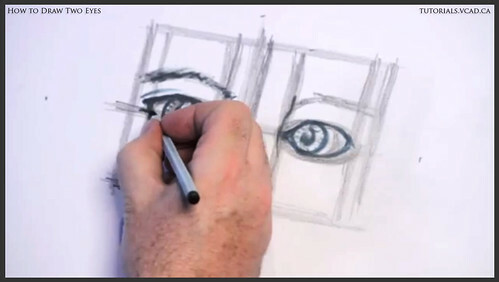 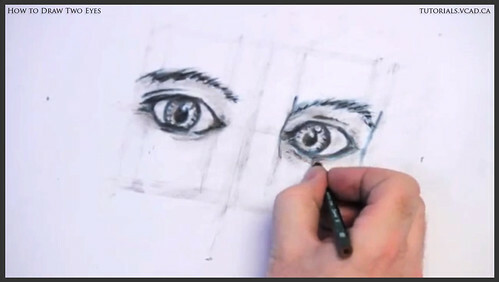 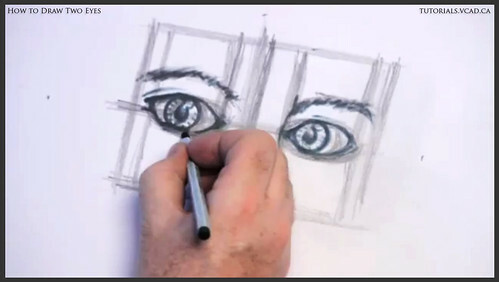 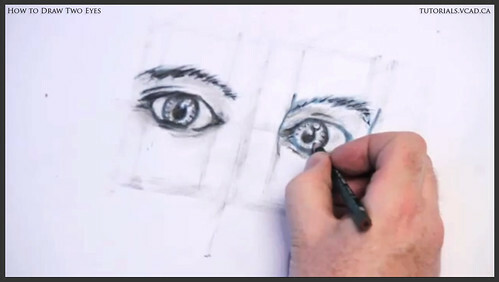 In this four part tutorial we will learn how to draw two eyes. 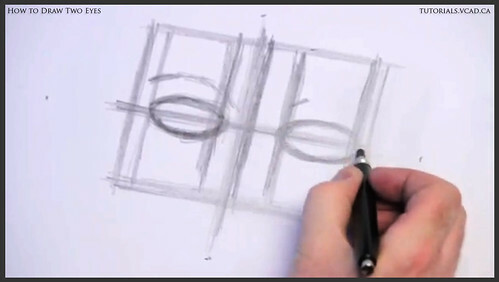 Let's begin with a straight line, which will serve as a horizon line and will give us an idea where the shapes are going to be. 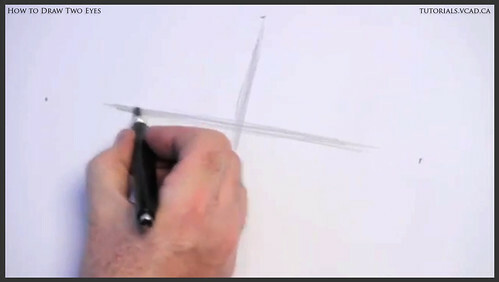 Then we should draw a vertical line to make a cross so that we know where the center point is. 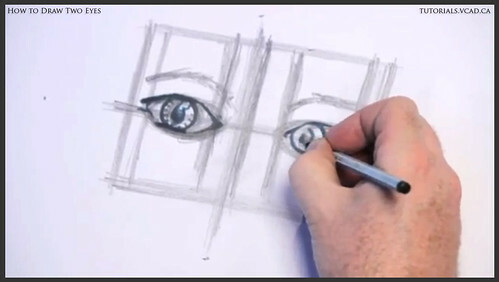 To achieve better results try to draw lose lines. 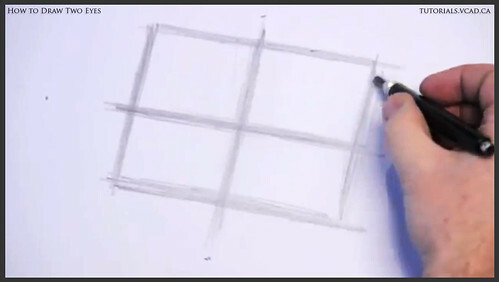 At this stage the goal is to make a rectangle with the equal top and bottom parts. 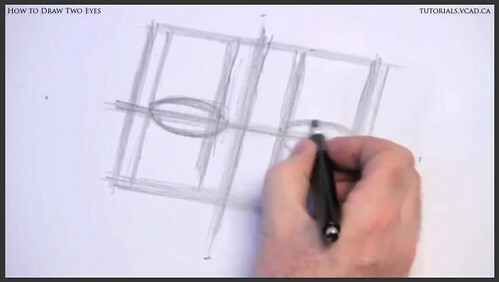 Let's start to mark in the center point and put some shapes in. 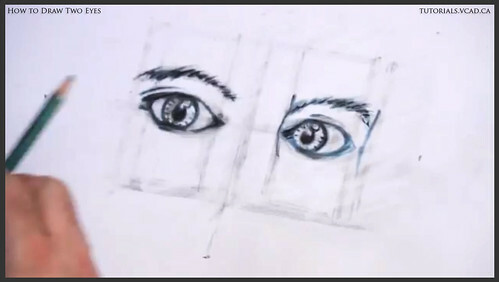 Think about the lights that are going to shine into the eyes. 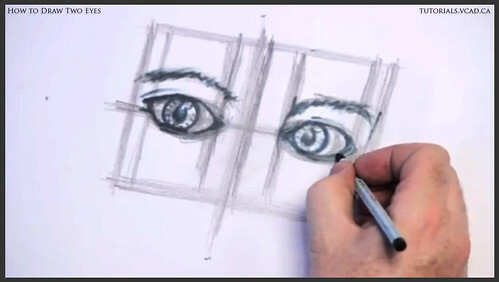 The reflection has to be in the same direction in both eyes because we don't want to make them look if they were floating. 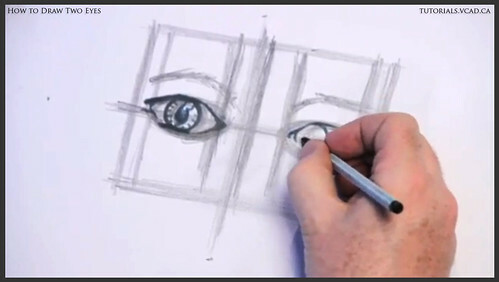 You should now connect the reflection of the light with the iris of the eye so that we can move on and work on the expression of the eyes. 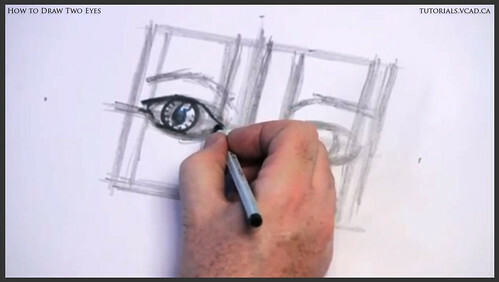 The second eye should be a little bit smaller than the first one. 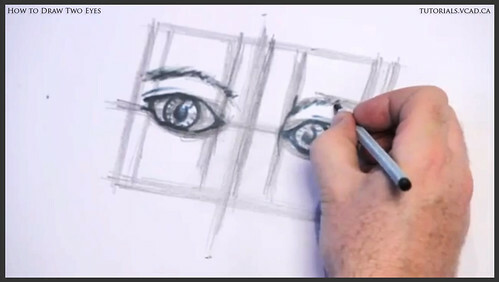 As we keep drawing don't forget about the reflection of the light source in the other eye. 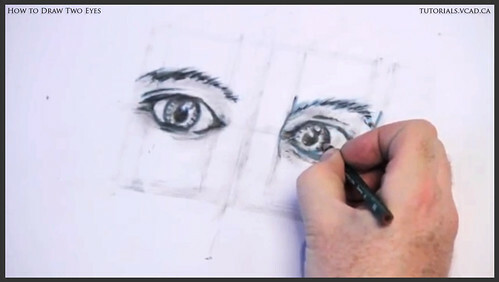 Now we can take a pen and add some darker lines to the eyes, which will allow us to work more on the quality of the lines -- softer, darker or lighter. 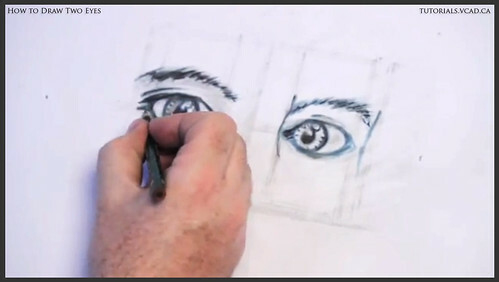 Add some details with the pen over the top of the drawing. 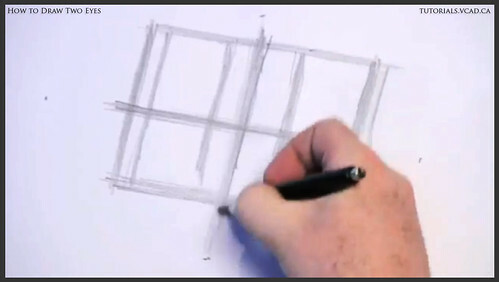 Avoid using one long line, but use lots of shorter lines instead otherwise your drawing will not have any life in it. 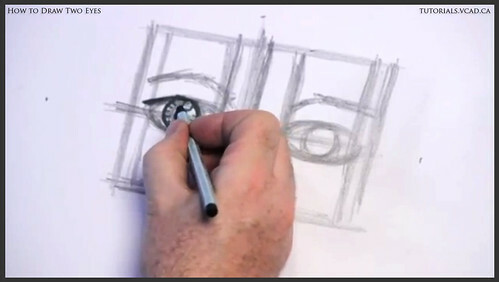 Keep working with the pen, stop and evaluate the result -- what should be added and what has to be changed. 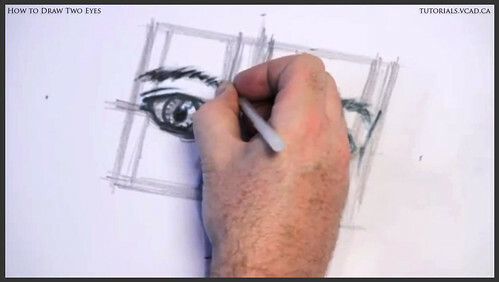 Don't be afraid of spending an extra time on your drawing because it is about the end result and not the time. 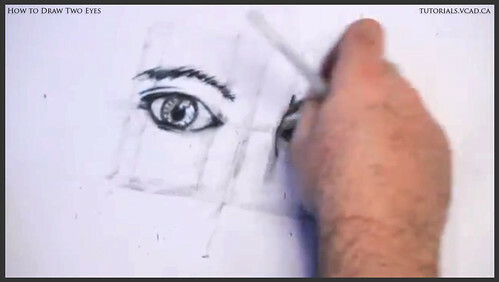 Let's go back to the drawing and erase the construction lines. 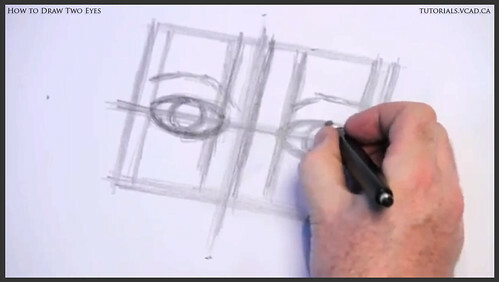 I love working with the simple lines at the beginning and then to move on to the more complex ones as we progress with the drawing.